We are members of the Hire Association Europe. 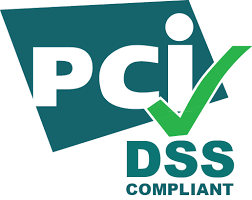 We are Payment Card Industry: Data Security Standards compliant. Chase Plant Hire is an independent, well established and experienced hire company with a proven track record of excellent service and reliability spanning over 30 years. We mainly specialise in Mini Digger Hire and have an extensive fleet of Kubota Mini Diggers ranging from 0.8 ton Kubota Micro Diggers to 8 Kubota Ton Mini Diggers. We also have a good range of dumpers, ranging from half ton Cormidi tracked dumpers all the way up to our latest addition of 9 ton site dumpers. The vast majority of our dumpers are road legal and come fitted with green seat belt beacons. We also stock only Bomag Rollers, all of our roller fleet are the latest models and come fitted with green seatbelt beacons. All equipment is cleaned and serviced before every hire to ensure a clean, sterile and safe working environment. We also offer quite a comprehensive amount of small tools and have several trained technicians who are capable of small tool repairs. Often bigger companies work on a next day delivery program. Being a smaller company we can quickly react to your needs and changing circumstances and now cover all of the midlands. For contractors we are able to deliver within a very quick timescale, this enables you to cut lost man hours down to the bare minimum thus cutting your costs and increasing your profit margin while also alleviating the stress and hassle of waiting. Having been established as a limited company since 1990, we have had many years of experience within the industry. We have supplied many national companies, even in some instances being the preferential hire partner within the midlands. Equipment is delivered on time, breakdowns are attended quickly and we believe that we offer a better overall hire package than many other hire companies at reasonable rates. We stock only Kubota Diggers. We stock only Bomag Rollers. We stock Terex and Wacker Neuson Dumpers. Our Website has all the information you need about our products, services and how to hire. For the quickest response you might find these links useful.